Happy New Year (almost)! Today is the last day of the year and I can’t believe it. When 2010 started, I was so overwhelmed with excitement, more than almost any other year. I knew God had big things in store for me and my family. I ended up starting a blog. Who knew? I celebrated my 5 year wedding anniversary. I turned 30. I fought battles. Won some and lost some. I have so much to be thankful for this year, including all of you. I have the most rockinest readers around. I’d love to know what were some of the highlights of 2010 for you, as well as some of your low points. Biggest achievement. Starting Modern Reject and keeping with it. Biggest failure. Making Modern Reject an idol, until the Spirit convicted me and kicked me promptly in the behind. Biggest surprise. How badly I want a third baby. We’re still praying… I’ll keep you posted. Worst day. A couple of weeks ago when my son decided to crack his head open on a cement block. Horrifying and terrible. Best day. I think I had a lot this year, but a few stand out. My husband’s first day at SoChurch, the business he started with some other talented folks. My 5 year wedding anniversary (my husband spoils me). And, as much as I hate to admit it, my 30th birthday. Biggest lesson learned. Hmm… Well, unfortunately it was a lesson I had to learn again. God really is on my team. He really does love me and, not just love me, but adores me even. I don’t have it all wrapped up and nailed down, but He is bringing me there. Also, lots of lessons have been learned in regards to finishing what you start and making an investment, thanks to this here blog. Also, here are the Top 10 Modern Reject posts. These are the most-read posts since I moved over from my Tumblr blog to the blog you see here. 4. Is There Really a War on Christmas? 8. Should Adultery End a Marriage? Which of these posts did you dig? I think The Trouble with My Mouth (#7) is still one of my favorites. Top 10 Phrases I Never Want to Hear Again (#3) has the best comments of any other Modern Reject post in terms of hilarity. You guys are stinkin’ funny. Is There Really a War on Christmas (#4) was me (and some others… thanks) debating a few atheists. Read the comments for the real juicy bits. Care to answer any of the questions I posed? What did you love about 2010? What could you have done without? Biggest success? Biggest failure? What are you looking forward to in 2011? I was glad to read this post because I was so ready to give 2010 a swift kick in the *** it has been that horrible of a year. After reading this post I was forced to recall the good things that happened too. Best day: my wedding day- somewhere along the way I have forgotten that yes, I did get married this year even though I did not get to party it up like the princess I am or take a honeymoon(thank you very much recession). It was still by far the best day this year. Best Decision: to go ahead and try for a baby even though we are in the middle of a recession, we just got married, are trying to control a newly diagnosed seizure disorder, my hubby’s laid-off, and we are still remodeling our house. So happy we made that decision. It has given us the source of much light in our darkest times. Biggest struggles: having a husband laid-off for 9 months of the year. It is awful in some of the most unimaginable ways. No man should have to be humbled like that. Trying to navigate the territory of a newly diagnosed seizure disorder in my husband. Another terror in itself. lessons learned: in this first year of marriage we have been through so much. I think no matter what we face as a couple we will always compare things to the year we got married and anything else will pale in comparison. Personally I found reserves of patience that I had no clue I had. Perhaps it was all those years of praying and begging God to give me patience because I have none that I finally received it. I have learned that yes, I did make the right decision to marry my husband because I have seen him at his lowest and he handles everything with such grace, poise, and optimism. So thank you for forcing me to reflect on this year in a different way than I was prepared to remember it. Still ready for it to be over though. I’m so sorry that you have had to face so many difficult things this last year. I had no idea. I will be praying for wisdom and insight into your husband’s health and for peace to cover you. I hope also that you continue to be blessed by your decision to have another baby. May it be soon and a blessing. Despite the difficulties of 2010, you did have so much to celebrate–like your marriage which is so exciting. 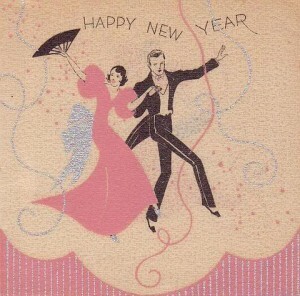 I’m praying 2011 is a new year filled with new hope. Blessings and love to you Misti. Hmm… 2010 sure was an interesting year. It was the first year that I was in the workplace full time, first year that I’ve had an adult type job, and the first year that I’ve ever really been discipled. All it all, a very good year. Not with out challenges, but probably a lot better overall than 2009. My favorite post on your list above was “God WILL give you more than you can handle.” It’s so true! And some of the things that I could never have handled on my own were the things that God used to drive me to himself this year. Biggest failure… Not trusting and submitting to my husband when he’s needed it. Biggest surprise… That I am not going to pursue full time ministry right now, and that I’m totally convinced that God want’s me to stay where I am and minister to my co-workers. (Also how content I am with not trying to have a baby right now. I’m excited to see if you two decide to have another little one though!!). Worst day… best day… I’m not sure on these. I tend to be a little on the moody side at times, so I think I have a lot of awesome days and a lot of really hard days. One highlight though was Christmas Eve with a mariachi band at my grandma and grandpa’s party! Biggest lesson learned… I think there are two big lessons from this year. 1) That Devin needs my support in a really big way and that there are a lot of little things I can do to make sure he doesn’t have any doubts about my support and submission to him. 2) Kind of like yours… that God loves me and is pleased with me no matter what. That there is nothing I can do to make Him love me any more or any less than He does. It’s one of those lessons that I feel like He’s had to teach me a hundred times, but all of a sudden I’m learning to believe Him more. Thanks for the post today! Like Misti said, it’s great have a way to look back on the year, and you posed some great questions. Happy New Year! Looking forward to Modern Reject in 2011! The hardest and best thing I did all year was move from where I grew up to a new city to do ministry. I still have moments where I ask how the heck I got here and think I’m in over my head, but then God reminds me that he’s in control. Praying Tamara that this new change leads you closer to Him and reliance upon the One True God, and nothing else. Biggest achievement. Learning that I can parent 4 children alone with a disability. Biggest failure. not keeping my mouth SHUT when I should. I can be a shrew, and I still fail at this ALL the time. Best day. Christmas. I worked really hard, managed to make an incredible Christmas for my children. We had a great day. First white Christmas in my town since 1942. WONDERFUL dinner with my extended family, had (new) family pictures taken that turned out CUTE, and ended it by pulling strength out of myself I didn’t know I had to get us all home under some really scary circumstances. :)Plus, I paid for our weeklong July beach house on the same day! Biggest lesson learned. That no matter how much I want to, I can’t control my husband. I can’t make him want me, and I can’t make him want our babies. I can’t even understand it. I can only do what *I* can for them, and if he chooses not to, they will see him for what he really is and not hate me for it, in the long run. I hate that my babies are hurting (it’s not a lot of fun for me either) but I’m doing what I can, and the rest, is between the husband and God. ps: This blog is WAY HIGH on my list of fun new things for 2010 and I hope you keep it up forever! Your year has been a difficult one Ade, but in all of our exchanges I have always sensed and felt hope in your words. Hope that despite the darkness, Christ’s light would shine. Your list of 2010 is evidence of that. You are stronger than you know Ade and I’m inspired by you! Biggest achievement. Getting through my first year of university despite not believing I was good enough or deserved to be there. Biggest failure. The thought that just crossed my mind, ‘I don’t think I’ve really failed this year’. Maybe not putting as much effort as I could have into the beginning of my second year at university. Biggest surprise. God really delivering and making the first term of my second year hugely more peaceful and stress-free than I’d been expecting and worrying. Worst day. Early in the year, spending an afternoon crying in my room, wondering how I’d ended up at this university and how on earth I was going to get through it. Best day. So many to choose from (praise God!) but I’ll go for celebrating my 21st birthday surrounded by friends, doing karaoke for the first time at a tiny local pub. I don’t think I stopped grinning the whole night! Biggest lesson learned. How much I need God, and how much He will come through when I need Him to. To turn to God FIRST when things get tough. Thanks for this post Nicole. That’s the first time I’ve really looked back over the past year and thought about the things I’ve experienced! Congratulations on surviving your first year of university and turning 21 in the process. I’m glad that spending the time to look back over the year was worthwhile. Next Next post: Easy Money…?